Dr. Marshall Horton is the Champions of Health Care volunteer winner for 2018. Horton is shown here at the Volunteers In Medicine office in Brainerd. In our third annual edition of Champions of Health Care, Edge magazine received nearly 200 recommendations from the public about health care providers, administrators and volunteers who are making health care better in Chattanooga. From among those nominations, a panel of judges comprised of top leaders from the Chattanooga/Hamilton County Medical Society and each of Chattanooga's three major hospital systems — Erlanger Health System, CHI Memorial Hospital and Parkridge Health System — picked nine winners in eight different classifications of health care. The Champions of Health Care award winners this year have tackled major community health problems, started or promoted programs to better coordinate care and expanded initiatives for wellness and disease detection. Others are recognized for new approaches, strong leadership and simple acts of kindness during their lifetimes of achievement and service. In a variety of volunteer and professional roles across many of Chattanooga's major health care institutions, the honorees have distinguished themselves and the community for improving the health of individuals and Chattanooga as a whole. This year's Champions of Health Care will be honored at an awards luncheon at The Chattanoogan on Wednesday, September 5. Dr. Marshall Horton, in his fourth decade as a gastroenterologist, says that screening for colon cancer is going up with an estimated two-thirds of the population current in their tests. But, he says, it's that other third which is difficult to reach, noting they're resistant to endoscopy or don't want to deal with the prep necessary for the procedure. That's one reason why Horton, 64, keeps sounding the call for screening even after retiring from his day-to-day practice. Honors a volunteer in the community who has demonstrated commitment and passion for serving those in need. Accomplishments: Horton is in his fourth decade as an gastroenterologist. 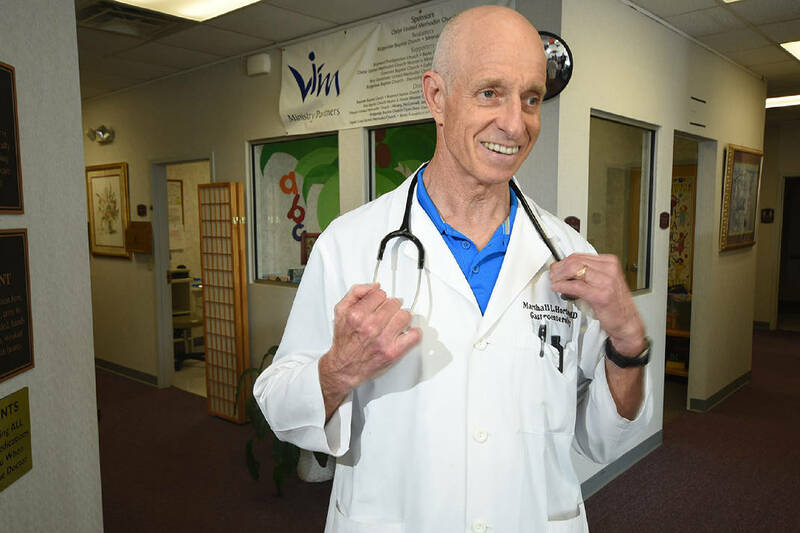 Since retiring five years ago, he is active as vice president of the Greater Chattanooga Colon Cancer Foundation, a volunteer medical director for Hamilton County Project Access and donates his time at Volunteers in Medicine. "Some don't understand the importance," says the Chattanooga physician who is the winner of the Champion of Healthcare's Volunteer Award for 2018. "If you identify the polyps, you dramatically decrease your risk." The Mississippi native splits his volunteer time among organizations such as Volunteers in Medicine, Hamilton County Project Access and the Greater Chattanooga Colon Cancer Foundation. He says he has been on the foundation's board for at least four years and is its current vice president. The last couple of years he has coordinated involvement in local health fairs, where Horton quips a big draw is a 12-foot inflatable colon which is used to woo attention to proper screening. The goal, the physician says, is to heighten colon cancer awareness and the importance of screening. "The recommendation is to start screening at age 50," he says, adding that the American Cancer Society recommends that people at "average risk" of colorectal cancer start at 45. Colon cancer, Horton says, is the second leading cause of cancer deaths, though the incidence is heading downward. Still, the 50,000 deaths a year due to the disease trails only fatalities caused by lung cancer, he says. Horton lauds the billboard campaign in the Chattanooga area in which notables such as University of Tennessee at Knoxville Athletic Director Phil Fulmer, U.S. Sen. Bob Corker and minor league baseball mascot Louie the Lookout all encouraged screenings. The University of Mississippi medical school graduate says he felt the need to give back to the Chattanooga area after he retired from Galen Medical Group five years ago after 25 years. 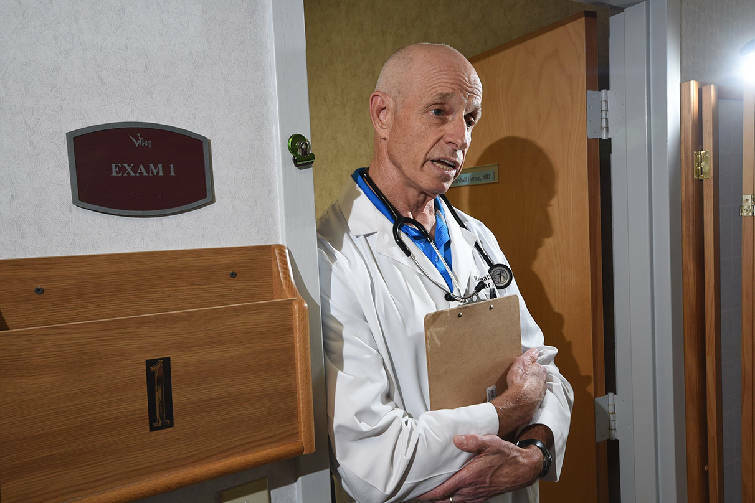 At Volunteers in Medicine, he and some two dozen other physicians and nurse practitioners donate their time at the clinic for the indigent and uninsured, many of who work but don't have health care benefits, he says. "It's a huge problem," Horton says, noting that 10 percent of the population don't have health insurance in Hamilton County. That amounts to about 35,000 people, he says. The clinic receives about 5,000 visitors a year and provides some $8 million in care, Horton says. There's a big need for Medicaid expansion in Tennessee, he says, as too many people are going without health care. At Hamilton County Project Access, which is run by the Chattanooga-Hamilton County Medical Society, Horton facilitates colonoscopies and keeps up with the number performed. At Project Access, services are donated by hospitals and physicians to help people in need, Horton says. "That's where we send people when someone needs a procedure but we don't do it [at the clinic]," he says. Other clinics also make referrals to Project Access, Horton says. The doctor says he likes volunteering in the clinic because "when you establish a relationship and help someone out, there's a sense of fulfillment." Tonya Williams, the director of Project Access who nominated Horton for the award, wrote that he has been a constant and committed volunteer for Volunteers in Medicine where he takes care of patients with inflammatory bowel disease, reflux and other chronic gastrointestinal conditions. "He not only sees to their clinical needs at VIM, but also works to coordinate care for these patients with advanced needs, such as endoscopic procedures, by coordinating VIM patients with Project Access," she says. "He has gone beyond clinical volunteer work for both organizations by helping to promote critical fundraising activities." Williams says that Horton is "a physician in the truest sense of the word, and one that you hope will take care of your own family member." Dr. Shauna Lorenzo-Rivero, the Medical Society's immediate past president and the chairwoman of the colon cancer foundation, wrote that Horton organized six health fairs which promote colorectal cancer screening for diverse communities in 2017 alone. He's active in planning of eight health fairs in 2018, she says. "He has helped obtain funding from the Community Foundation of Greater Chattanooga to help support these activities," the physician says. Horton, who is married and has one daughter and attends Hixson United Methodist Church, came to Chattanooga because it seemed like an attractive place to practice after receiving his medical training. He is an avid bicyclist and runner, having competed in the 2016 Ironman event in Chattanooga. "It was a long day," he recalls. Horton also has bicycled coast to coast across the United States. A bedside manner second to none: Dr. Peter Boehm Sr.